Our product range includes a wide range of bi drum oil and gas fired boiler, water wall membrane panel fbc fired boiler and bi drum fbc boiler. 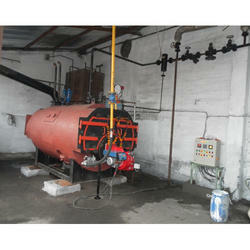 Our company is engaged in offering a comprehensive range of Bi Drum Oil and Gas Fired Boiler. These find extensive usage in various industries in different applications that strive for rear heating surface from the back of the furnace, and then into air through the chimney. We take into account the international quality standards set by the industry and offer suitable range of Water Tube Type Bi Drum Oil and Gas Fired Boilers.We bring forth an impregnable range of Body Structure Features. For the double drums longitudinal D-type boiler, the pressure body has a good state of stress. Drums and other important pressure parts won't be radiated and eroded by high temperature flame. Pressure parts, with small thermal stress, can stretch out and draw back freely, and can reach higher safety margin. 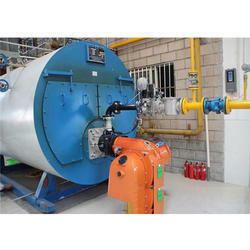 Firing fuels: Automatic Oil (Gas) Fired Steam Boiler. Firing Fuels Low and high calorific value coal, bagasse, wood logs / wood chips, husk, biomass fuels, etc. Our company is engaged in offering a comprehensive range of Water Wall Membrane Panel F.B.C. Fired Boiler. This superior make Water wall Membrane Panel F.B.C. Fried Boiler is highly appreciated for its salient features such as efficiency, easy installation & handling, long service life and easy maintenance. We take into account the diverse requirements of our global clients and offer suitable range of Water wall Membrane Panel F.B.C. Fried Boiler. We bring forth an impregnable range of Bi Drum F.B.C. 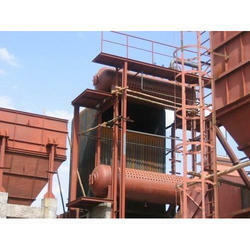 Boiler is suitable for burning coal or lignite or other agro-based low-grade fuels. Firing fuels: Indian & imported coal, lignite, wood, paddy husk, groundnut shells, coffee husk, bagasse, bio gas, etc.